With almost 60 years’ experience, a commitment to sustainable development and a reputation for quality and innovation, TCS create outstanding mixed use developments close to transport hubs in Leeds, Manchester, Glasgow and London. Town Centre Securities PLC (TCS) is a leading UK property investment & development company with property assets of over £400 million. TCS has a high quality portfolio around the UK comprising of office and retail accommodation – over 900,000 sq ft of retail space and over 360,000 sq ft of prime office space. With more than 50 years’ experience, a commitment to sustainable development and a reputation for quality & innovation, TCS create outstanding mixed use developments close to transport hubs in Leeds, Manchester, Glasgow and London. Committed to tenants and shareholders, TCS provides world-class residential, office and commercial accommodation and robust investment opportunities through a high quality portfolio that delivers an annual income of more than £26m. Edward Ziff joined the Company in 1981, before being appointed to the Board in 1985. He became Managing Director in 1993, Chief Executive in 2001 and succeeded his Father and founder of the company as Chairman in 2004. Edward Ziff joined the Company in 1981, before being appointed to the Board in 1985. He became Managing Director in 1993, Chief Executive in 2001 and succeeded his Father and founder of the company as Chairman in 2004. Edward is a life-long supporter of the city of Leeds and plays an active role in the community, bringing a strong pastoral care aspect to the business, encouraging individual leadership and an active role in the community through local charities and through his role as Chair and Trustee of the Leeds Teaching Hospital Charitable Foundation. Previous roles have included, amongst others, governor of the Grammar School at Leeds, Chairman of Leeds Jewish Welfare Board and Non-Executive Director at Leeds Building Society. In 2013 he was awarded an Honorary Doctorate of Business Administration by Leeds Beckett University, and was awarded an OBE for services to the Leeds community and economy in the 2017 Queens’ Birthday Honours list. Lynda joined Town Centre Securities in November 2018 from Manchester Airports Group (‘MAG’) where she served as the Divisional Chief Executive Officer, Property. Lynda has a proven track record of developing and implementing strategy to both operate and leverage value from large, diverse non-core portfolios with experience that ranges from the operational environments of telephone exchanges, to large central London and national office estates, hotels, logistics and warehousing at Airports, and retail, land and farming at the Co-operative Group. 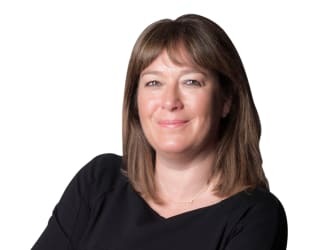 She has previously managed large Corporate Estates for BT, the Co-operative Group, and Manchester Airports Group and also ran the Real Estate Banking Divisions at Lloyds Banking Group and the £9bn Real Estate Fund Management Business at Scottish Widows Investment Partnership. Mark joined the Board on 10 July 2017 from Asda Stores Limited (part of Walmart) where he held a number of senior finance roles over the last fourteen years, including most recently as Vice President, Retail and Property Finance where he was responsible for all Asda stores and distribution centres as well as new store acquisitions. Prior to Asda, Mark held senior finance positions at JP Morgan in London for six years. Mark is a graduate of the University of Oxford and is a qualified accountant. Ben expertly merges his three passions into his professional career: technology, energy and the automotive sector. Ben joined Town Centre Securities as an Assistant Asset Manager in 2008 and drove his innovation into assessment and improvement of the business. Ben’s vision to prolong and offer further generations of service led to his movement into the car park subsidiary as Managing Director. Ben expertly merges his three passions into his professional career: technology, energy and the automotive sector. 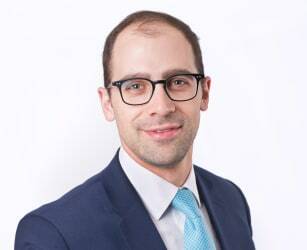 Ben joined Town Centre Securities as an Assistant Asset Manager in 2008 and drove his innovation into assessment and improvement of the business. Ben’s vision to prolong and offer further generations of service led to his movement into the car park subsidiary as Managing Director. 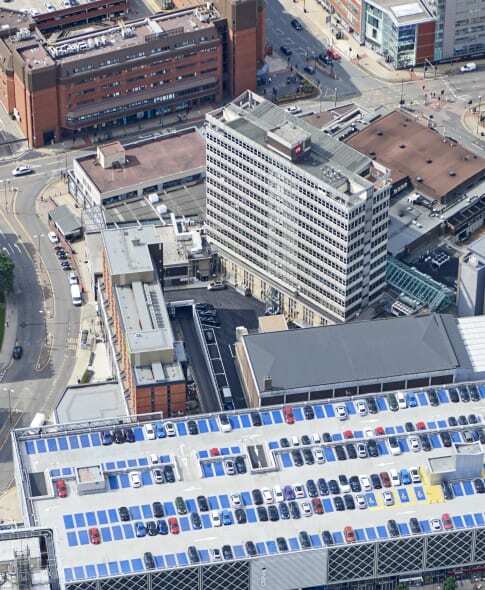 Ben steamed south through Greater and Central London and north into Edinburgh to secure 5 new car park acquisitions, led the redevelopment of the Merrion Centre car park in Leeds, and steered the hugely successful re-brand of the car park business into the country wide 'CitiPark'. 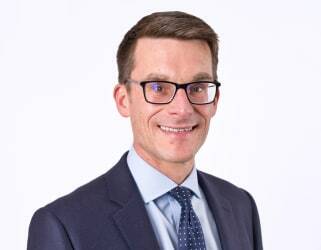 Ben is now primarily responsible for the operations and investments relating to the CitiPark business, with a dedicated focus on expanding the business, brand and asset base across England, Scotland and Northern Ireland. Ben’s knowledge of the energy sector led to the development of TCS Energy in 2012; a company which pursues a green and renewable energy production and delivery agenda with notable first class solar farm examples at Urban Exchange and Leeds Dock. Ben’s curiosity with technology has ensured the company contains cutting edge tech to revolutionise and maximise its operation. CitiPark boasts: Automatic Number Plate Recognition (ANPR); generic Electric Vehicle Charging (EVC); Tesla’s Charging Network; Skidata’s software and hardware; Apple Pay and contactless payment in every branch; and the introduction of the 24/7 ‘Engine Room’ which is a centralised control room for every CitiPark branch in the country. In September 2015, Ben was appointed the youngest ever member on the Board of Directors. In his personal life, Ben enjoys drumming (having performed with the Kaiser Chiefs), is a keen runner (having stormed the London Marathon to raise in excess of £100,000 for Teenage Cancer Trust) and is an avid black-run mountain skier. Michael Ziff was appointed in July 2004. He is a Director of W Barratt & Co Ltd owner of famous footwear brands Barratts, Saxone, Priceless and Stylo Matchmaker. Transworld Business Advisors UK LTD, the UK franchise of one of the worlds largest business brokerages. Michael Ziff was appointed in July 2004. He is a Director of W Barratt & Co Ltd owner of famous footwear brands Barratts, Saxone, Priceless and Stylo Matchmaker. Transworld Business Advisors UK LTD, the UK franchise of one of the worlds largest business brokerages. Mr Arkwrights Emporium Franchise LTD, a UK hardware and homeware franchise retailer. He is president of Maccabi GB and member of the international board of trustees of Maccabi World Union. President of UK Israel Business. Michael is also a trustee and director of the Hepworth, Wakefield. Ian joined the Board as a Non-Executive Director on 19th December 2014. He graduated from the University of Cambridge in 1981 with a degree in Land Economy. Ian joined the Board as a Non-Executive Director on 19th December 2014. He graduated from the University of Cambridge in 1981 with a degree in Land Economy. 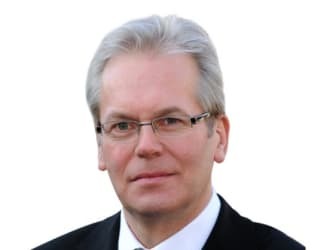 Ian was in the banking industry for over 32 years having previously worked for Bank of America, UBS, NatWest and Bankers Trust/Deutsche, always focusing on the real estate industry. Ian joined Credit Suisse First Boston in 1999 to establish the Real Estate Group, and became Managing Director and Chairman of the European Real Estate Investment Banking Group before retiring in 2012. 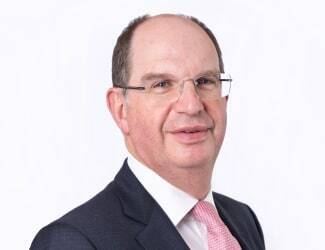 Ian is Chairman of the Prince’s Regeneration Trust, a Crown Estate Commissioner, a member of Redevco’s Advisory Board and the Senior Independent Director for Secure Income REIT. He was appointed as a Senior Consultant to Eastdil Secured and Wells Fargo Securities in 2013. He is past President of the British Property Federation, and past Chairman of the Investment Property Forum, and was Chairman of the Bank of England Commercial Property Forum for 10 years. 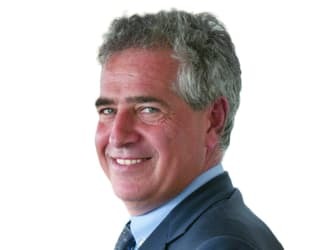 He is a member of the University of Cambridge Department of Land Economy Advisory Group, an Eminent Fellow of the Royal Institution of Chartered Surveyors, and a member of the Chartered Surveyors Livery Company. Paul joined the board as a non-executive Director on 19th December 2014 and brings over 28 years’ experience in the property and finance sector. Paul was previously finance director at quoted property companies Grantchester Holdings plc and Asda Property Holdings plc and managed pubs group Regent Inns plc. Paul joined the board as a non-executive Director on 19th December 2014 and brings over 28 years’ experience in the property and finance sector. 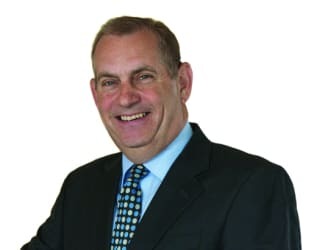 Paul was previously finance director at quoted property companies Grantchester Holdings plc and Asda Property Holdings plc and managed pubs group Regent Inns plc. Paul is a non-executive director at Galliard Homes Ltd, a major London house builder with a portfolio of in excess of £3 billion gross development value. 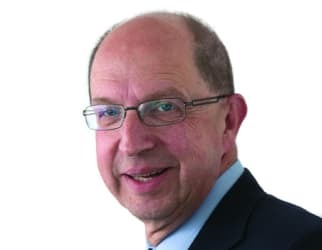 Paul is a non-executive director at JCRA Group Ltd, the holding company of J C Rathbone Associates Ltd, the independent advisers on interest rate risk management, debt finance and foreign exchange exposure. Paul advises companies in the property and property finance sector. He worked with the Administrators of the Targetfollow Group in disposing of its property portfolio and the Administrators of the Brooklands Hotel (Properties) Ltd in operating and selling the Brooklands Hotel. He has also separately advised the directors of Prestige Finance Ltd, the second mortgage provider, and the directors of West One Loan Ltd, the bridging loan provider, on operating and selling their respective companies. Jeremy joined the board on 1st February 2018 and gained significant retail property development and management experience over 35 years. 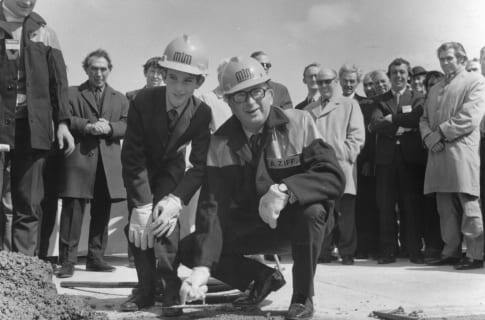 TCS was founded by Arnold Ziff in 1959 and floated on the London Stock Exchange in September 1960. Always a forward-thinking organisation, TCS quickly built a reputation for pushing the boundaries with landmark developments and strong growth through active management and design innovation. With firm foundations in the north of England and Scotland, TCS is acknowledged as a pioneer of the mixed-use scheme. 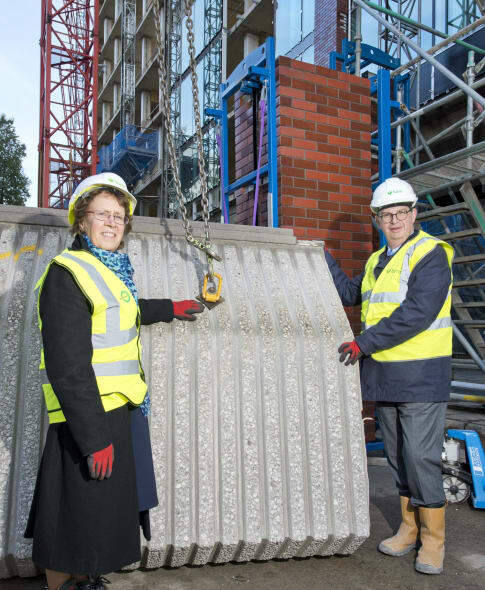 TCS is involved in a number of large-scale regeneration and new build developments. TCS is committed to sustainable development, high environmental standards and active local community participation, with a property portfolio exceeding £400m and an annual income of over £30m. TCS is a leading property investment and car parking operator committed to creating flexible, innovative, high quality commercial and retail accommodation and maximising shareholder value over the long term through the acquisition and active management of property in sustainable locations. TCS recognise the importance of the under Health & Safety at Work act. Town Centre Securities PLC (the Company) recognises that under the Health & Safety at Work Etc. Act 1974 and other relevant statutory legislation it has duties to its employees, those not of its employment and the environment. TCS will ensure, so far as is reasonably practicable, the health, safety and welfare of its employees and anyone affected by its actions or those of its employees. Proud to have long-standing links with local and national charities across the UK. In recognition of the importance of this commitment to our business, our CSR Coordinator, Charlotte Daisy Leeming has expanded our involvement in local charitable and community organisations for TCS and CitiPark. The charities we partnered with in 2017 were: Candlelighters, The Leeds Jewish Welfare Board, Variety The Children’s Charity, LionHeart, The British Legion and, most recently, Autism Angels. In addition to those partnerships we have sponsored a number of stand alone initiatives. (£121,000 in 2015-16), around £35,000 of which were raised through events, collections and competitions in the Merrion Centre alone. 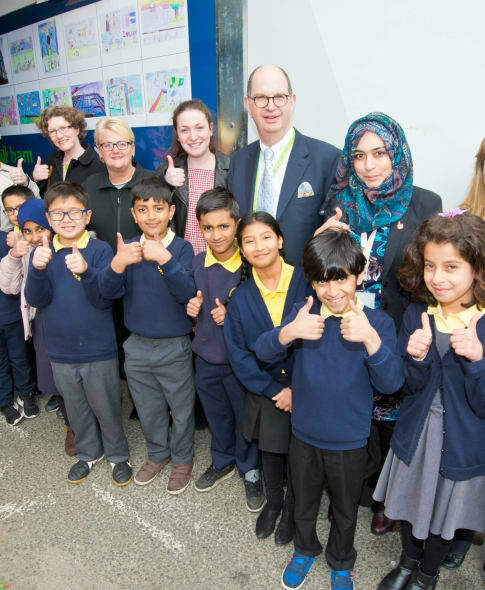 A key element of our work in the local community is our partnerships with local schools as well as our continued support of Child Friendly Leeds (from whom we won an award through recognising our contribution as one of their ‘Gold Ambassadors’). It is our firm belief that by supporting children and young adults in the local community, we can ensure a brighter future for the city of Leeds. local children and young adults in partnership with social enterprise ‘Ahead Partnership’. LionHeart charity until July 2017. 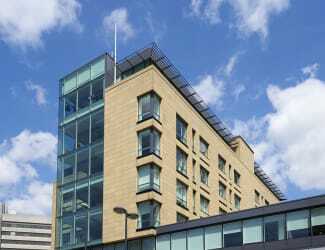 Town Centre House is the only refurbished building in Leeds to have achieved a BREEAM Excellent. During the refurbishment programme, a holistic approach was taken to improve the environmental performance of the building. 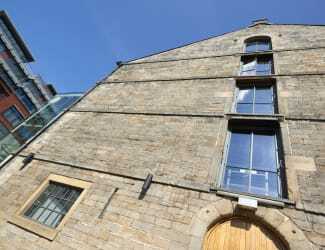 The most efficient new heating and lighting systems were installed, resulting in a significant reduction of both the building’s carbon footprint and its running costs. TCS has engaged with the CarbonNeutral Company to make the development a carbon neutral project using the carbon generated through the building’s construction and occupation to generate credits to support an environmental technical project to help tackle climate change and reduce global carbon emissions. The first office to be completed Piccadilly Basin, which was handed over to the tenant BDP in March 2008, was the first naturally ventilated building in Manchester to achieve a BREEAM 2006 rating of Excellent for sustainability. TCS, together with BDP as occupier and Kier North West as building contractor, has worked with the CarbonNeutral Company to ensure the development is carbon neutral, to offset the carbon generated during the construction process and a 20 year occupancy period. The carbon credits were used to support an environmental project to aid in the construction of a hydropower project in China. TCS is committed to creating vibrant, sustainable developments that meet the needs of tenants and investors while focusing on the preservation of our heritage, local communities, the environment, its biodiversity and wildlife. Dedicated to creating developments that meet the highest BREEAM ratings and as a member of the FTSE4 Good Index Series, TCS has comprehensive strategies and annual targets that reflect our commitment to continuous improvement in environmental performance. TCS are committed to the reduction of energy consumption and harmful emissions through design solutions that minimise the energy requirements of the construction process and a careful consideration of the environmental impact of the finished building. Focussing on sustainable living and working, TCS create developments that have a long-term future as part of vibrant, energetic cities. 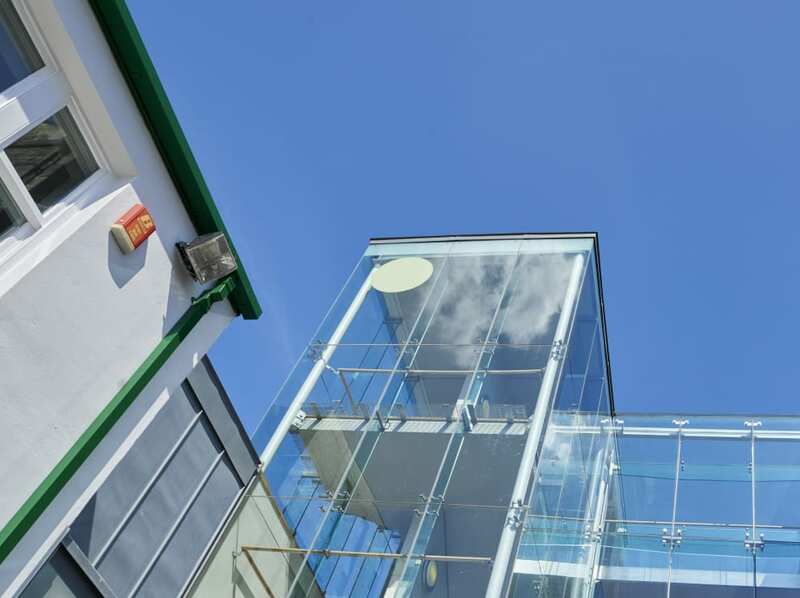 Based in carefully researched locations and taking full advantage of regeneration opportunities, TCS schemes are designed to enhance the local environment and offer desirable future-proof accommodation for business and the community.